I have been busily following my own advice and decluttering my house little by little. I have managed to get through the kids clothes (times 5! ), bathrooms, and dealing with paper clutter. I’m feeling much better about those areas, but decluttering overwhelm has stopped me in my tracks. There is so much left to accomplish, and each project has taken me longer than expected. The philosophy of minimalism is being embraced by people everywhere. It’s appealing to consider simplifying your life by getting rid of unnecessary possessions. Surely I am not the only one who finds the actual process of lessening their load to be daunting! It is especially overwhelming if you’ve accumulated years of stuff all in one place or have a large family. I am attempting to encourage myself and persevere by looking at some specific ideas for how to handle my decluttering overwhelm. In the field of multi-level marketing, the phrase, “Know your why,” is used as a motivator to remind associates of the reasons they went into business for themselves in the first place. This same concept is essential for keeping you on-task when the decluttering process becomes difficult. Understanding your reasons for wanting to reduce your clutter is crucial to success. The first step to getting a handle on your feelings about decluttering is to understand that nothing needs to be accomplished overnight. Set aside a general amount of time for the project, knowing that your timeline can be extended slightly, if necessary. Having a time frame provides structure, but allowing wiggle room takes away the pressure. 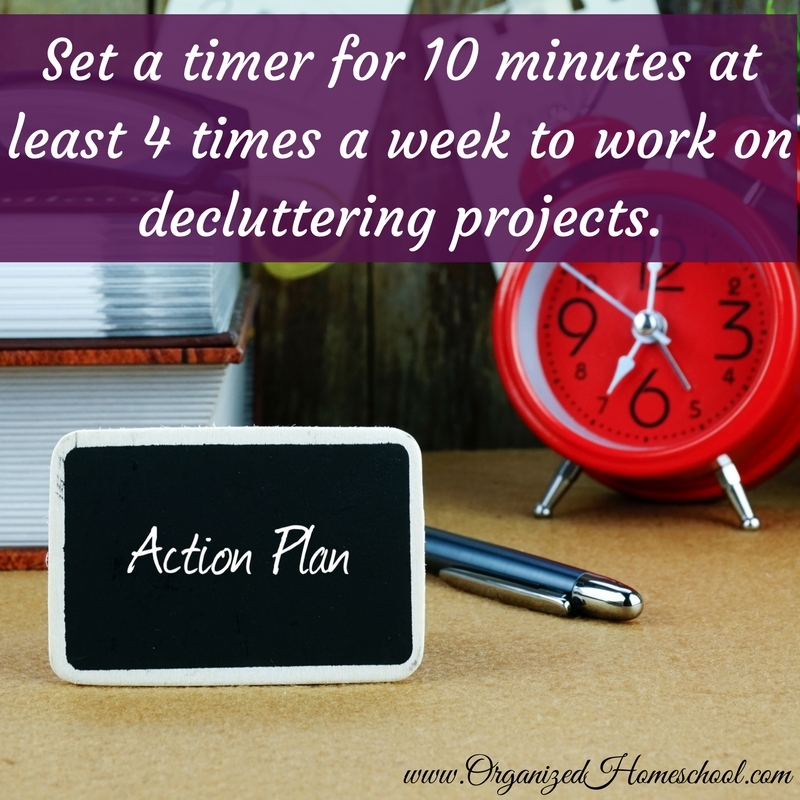 I find that I quickly get sidetracked from my decluttering goals just by the daily demands of running a house, homeschooling and working from home. My new strategy for dealing with this is to set a timer for 10 minutes at least 4 times during the week to work on my remaining decluttering projects. This is a little bit of a struggle because I really like to not start a task unless I can finish it, but I have to accept that is just not an option for me right now. Small progress is better than no progress at all! Having a plan is essential to the smooth completion of any goal you hope to accomplish. It only makes sense that mapping out your steps to decluttering would also be beneficial. Write down things like the order you wish to tackle your clutter, how many rooms or areas you would like to complete each week, the manner in which you want to sell valuable items and where you will donate the rest. This proactive step can go a long way toward making it all seem more manageable. So I need to still tackle my kitchen, my kids toys, and my room. Just writing that, brings on the feeling of decluttering overwhelm again! 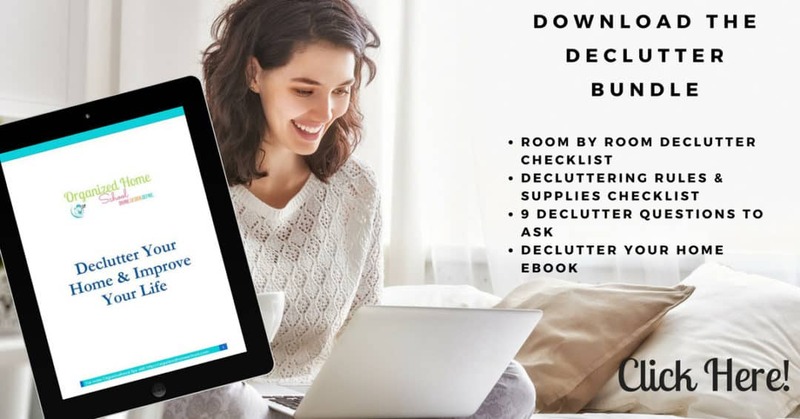 I’m loving all the planners and ideas I got from the Ultimate Declutter Bundle. I am going to put that information to use and remind myself that the end result will be worth it! 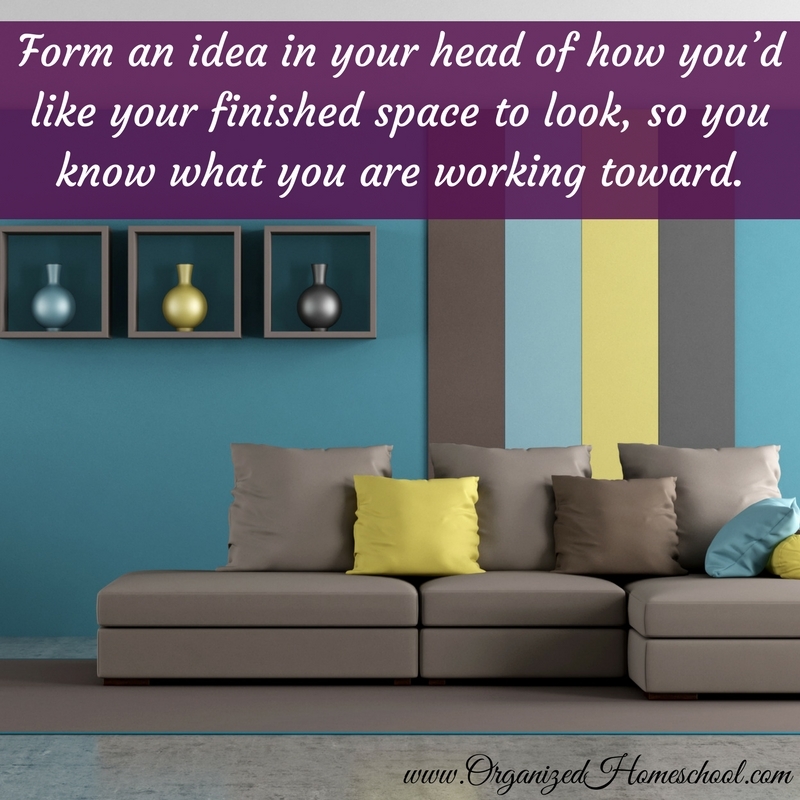 One more thing to do before actually getting down to the business of decluttering is to form an idea in your head of how you’d like your finished space to look. It may even help to jot down some drawings and notes. Doing so will help you decide what to keep and what to discard because you will have a better idea of whether a particular item will complement your vision. It’s true that the hardest part is often actually getting started. 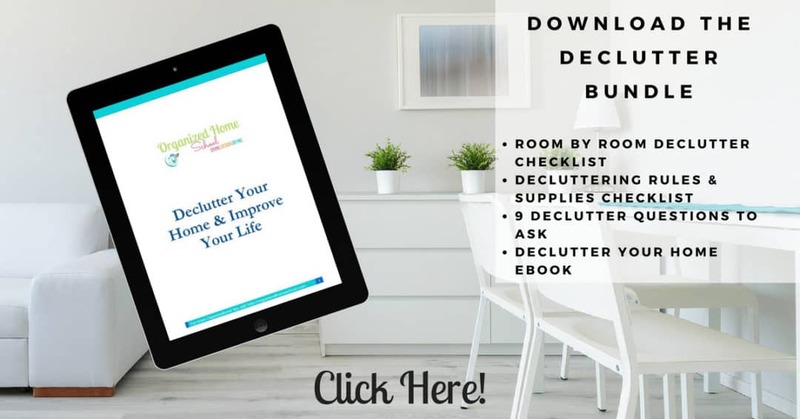 Now that you know some concrete ways to manage decluttering overwhelm, hopefully, you are feeling energized to continue just like I am. 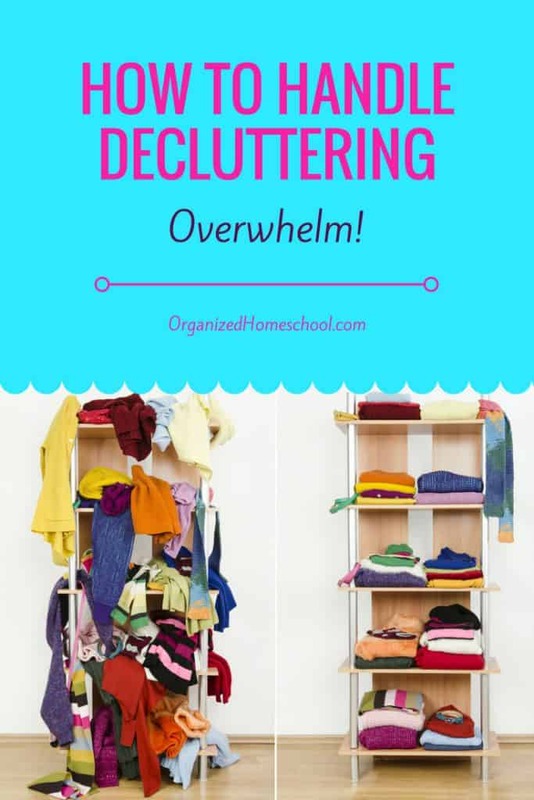 How do you handle decluttering overwhelm?